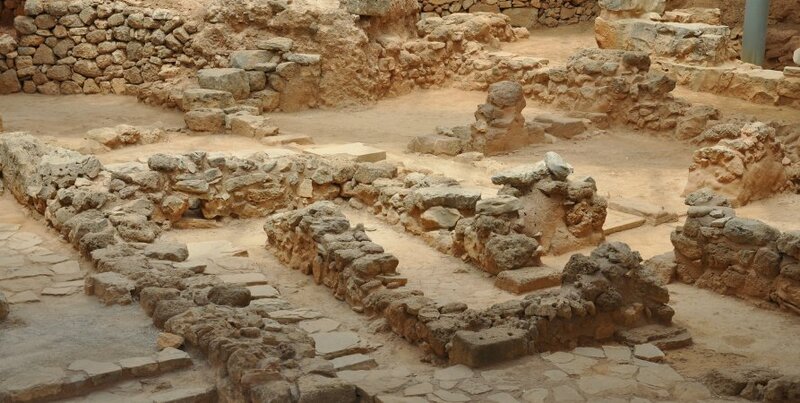 Ancient Cydonia, located in the northwestern part of the city of Chania, lies just inside the modern city center! It is an important city of antiquity and in mythology, Cydonia is mentioned as one of the three cities established by King Minos. In this way the Minoan civilization was developed in Crete and later was conquered by the Mycenaean civilization. This is the most important ancient settlement of Chania, with excavations that have been ongoing since 1966 till today, while the center is located in the Castelli hill. The well-preserved houses excavated, with spacious rooms, fireplaces, floors and door frames, show a unique prehistoric center. The rich mythology of ancient Greece, says that King Kydon was the son of the god Hermes and the daughter of King Minos, and the name means glory. You will find many important archaeological findings from the site of the excavations in the archaeological museum of Chania. Do not miss this unique archaeological site with the facilitation of a rental car!